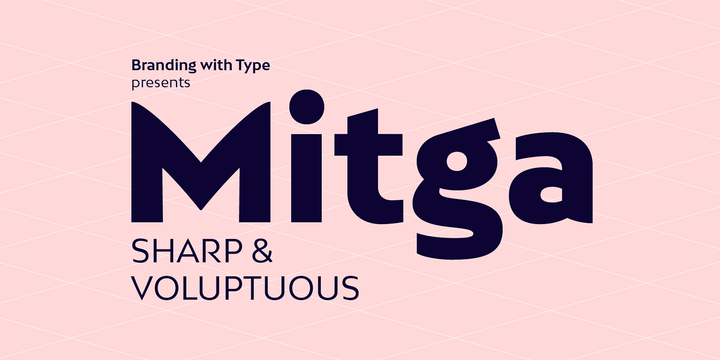 Bw Mitga is a geometric sans serif typeface created by Alberto Romanos and published by Branding with Type which is available in 4 styles (Delicate Light, Balanced Regular, Confident Bold & Powerful Black), a lot of OpenType Features such as: Proportional lining figures, Tabular figures, Fractions etc. Also it has language support. It is characterized by consistent 16° angle throughout all the weights and subtly bowed diagonals. With strong personality, it merge well on display and branding projects. Enjoy! Price: staring from $24 for one font to $60 for all 4 fonts. A font description published on Monday, February 29th, 2016 in Alberto Romanos, Branding with Type, Fonts by Alexandra that has 3,885 views.